The Los Angeles Clippers left the Dallas Mavericks with their mouths gaping and in shock as they manage to keep DeAndre Jordan, making him back out of his agreement with the Mavs. It makes him look immature, but it means more money for him, and a championship caliber team for the Clippers. 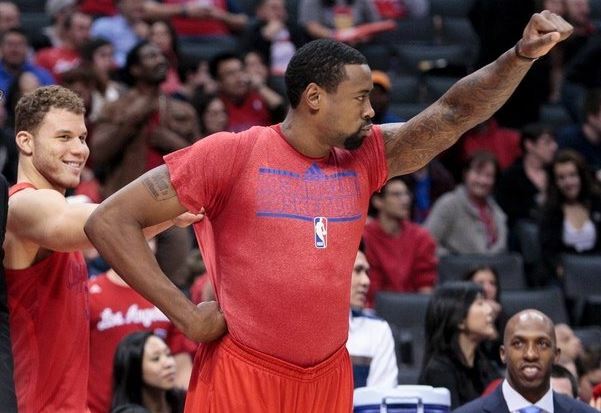 While there have been incidents of players backing out of an agreement, like Hedo Turkoglu with the Portland Trail Blazers and Toronto Raptors, this DeAndre Jordan case beats everything we’ve ever experienced. Maybe it’s just because it was all playing out live on Twitter through reporters tweeting sources and players having emoji battles and conversations. The Dallas Mavericks were going to be the number two teams of this free agency period behind the San Antonio Spurs. Instead, they become the team that lost Tyson Chandler, Monta Ellis, Rajon Rondo and others, while not being able to hang on to Jordan for various reasons, and not even getting the chance to re-convince him to sign. Even Jeremy Lin, who seemed like a lock to sign with them and be the starting point guard, was too difficult to get because the sign-and-trade deal with the Lakers wasn’t going anywhere. He ended up signing with the Charlotte Hornets. The Clippers were lazy during the first round of the free agency talks, and didn’t even have a meeting with Jordan. Blake Griffin thought that his talk on the phone with his frontcourt partner was enough. Meanwhile, the Dallas Mavericks used their special weapon, Chandler Parsons, with some Dirk Nowitzki magic, to convince Jordan to sign. A new age for the Mavericks, looking like a team that did everything right in free agency, along with signing Wesley Matthews (who’ll stick, even though he tweeted and then deleted that if Jordan doesn’t sign, he won’t sign either). And then came July 8. Turns out Jordan was pushed by his agent to sign for the Mavericks, and wasn’t completely certain that it was the best thing for him. The Clippers mobilized like a disciplined army unit. Griffin flew in from Hawai’i. Chris Paul cut his vacation short. Doc Rivers arrived. J.J. Redick as well. The Clippers reached Jordan’s house in Houston, barricaded themselves in and wouldn’t leave until it was all done, with agents signing on the thing. The Mavericks? They were caught off guard, thinking that agreement made from July 1 to July 9 are made of stone. Mark Cuban reportedly couldn’t get Jordan’s home address from Jordan’s family. Parsons couldn’t get through. The Clippers made sure Jordan had no contact with anyone, and that nothing was going to get in the way of keeping him. Jordan, in a very immature way, simply didn’t answer calls from Mavericks personnel. So now that the dust has settled, what are we left with? The Clippers getting better, with Paul Pierce joining, and the roster looking more complete and maybe finally ready to go further than ever before, which means actually making it through the conference semifinals. The Mavericks? They’re a team that’s invested too much to tank, but can’t really do anything in the West. Not enough good players left on the market, and maybe Jordan inadvertently causing Dirk Nowitzki’s career-ending years to be forgettable ones.